Tonight’s Azure Ray reunion show at the Lodge Room is sold out! Azure Ray's self-tilted debut album featuring "Sleep," "Rise" and more, in addition to their follow up "Burn & Shiver" are now on Maria Taylor's label, Flower Moon Records. "Australian rocker Ben Lee has jumped to a major label with his recent signing to Warner Bros. Records... To celebrate the announcement, Lee has put out a mixtape of tracks that he wrote with other people’s voices in mind. Zooey Deschanel, Azure Ray, Sean Lennon, and more all contribute to the collection, which Lee has been working on for almost a decade." Read more from Stereogum. "Taylor Swift is known for dissecting past relationships in her music, but what does the queen of heartbreak listen to when she’s heartbroken? Well, we now have an idea after [she] helped out a fan whose boyfriend of four months dumped her with an out-of-the-blue text message..." Read more from Time Magazine. SALON EXCLUSIVE: NEW MUSIC FROM AZURE RAY ON "COLD LANDS"
"The terrific Nebraska-via-Athens, Georgia, duo Azure Ray have also collaborated with Moby, Bright Eyes and Now It's Overhead. But this new music is really a collaboration with a film -- Tom Gilroy's "The Cold Lands." Read more here. Watch the new video for “Scattered Like Leaves” now on Paste Magazine! ROLLING STONE STREAM: "AS ABOVE SO BELOW"
Our new record is streaming exclusively at Rolling Stone! Happy Listening! NPR’s All Songs Considered premiered a new song this morning! Stream it here. The new album, As Above So Below, will be in stores in Europe September 7th via Hamburg based label Affairs of the Heart. Available on 12″ Vinyl and CD! Preview four new songs in the “As Above So Below” album trailer! Don’t miss out on the pink vinyl limited to 250. Pre-order here. 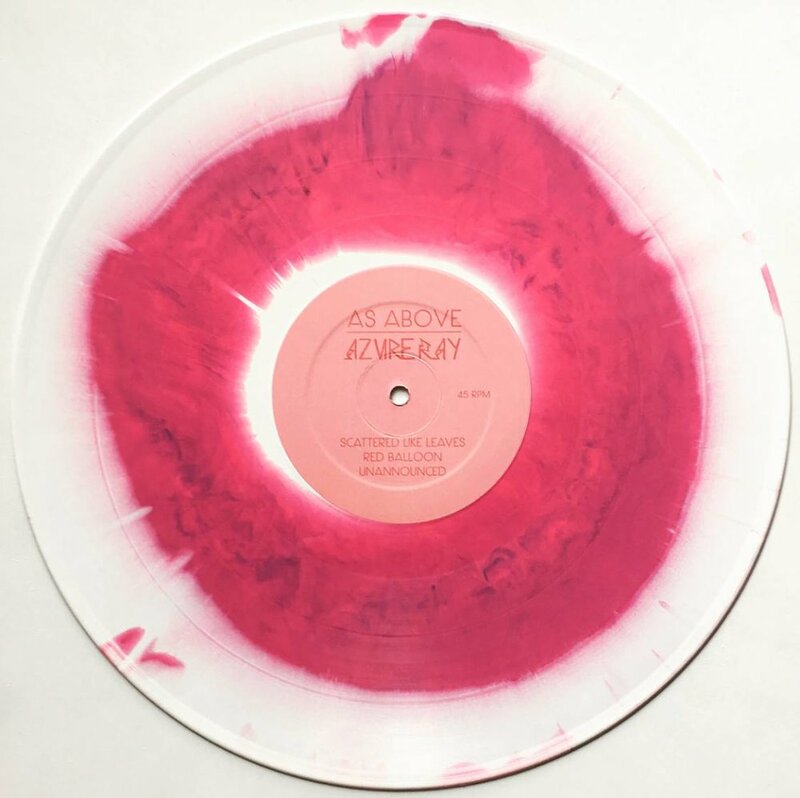 Our new album, As Above So Below, is now available for pre-order from Saddle Creek! The first track, “Scattered Like Leaves”, premiered today on Stereogum. As Above So Below is set for a September 4, 2012 release on Saddle Creek. Silverlake presents a non-album track from the sessions that became 2010’s Drawing Down the Moon, Orenda Fink and Maria Taylor’s first recordings together as Azure Ray in years. The first round of recording was done with Mark Linkous (Sparklehorse) prior to him passing away. The girls recall the session and time with Linkous fondly. “We were very fortunate to record this song with Mark. It was the first time we worked together and the first song Azure Ray wrote after our six year hiatus, so everything about the song is dear to us. The two-song single includes “Silverlake” and “Silverlake (demo).” The demo version of the track was recorded with Linkous and Scott Minor in Knoxville, TN. “Silverlake” is a re-recording of that session, with some original tracks and some new, that the band did with Eric Bachmann at Echo Mountain Studios. "DRAWING DOWN THE MOON" OUT NOW! Our new album, Drawing Down the Moon, is now available in stores, as well as from the Saddle Creek Store in multiple formats including digital download and deluxe packages. Our new single for “Don’t Leave My Mind” is up on Itunes and the Saddle Creek web store! two exclusive b-sides! STEREOGUM PREMIERE: "DON'T LEAVE MY MIND"
"Although it only contains three tracks-- two which are versions of the title song-- Azure Ray's New Resolution EP is as subtle as it is brittle, and as gracefully measured as anything the duo has released to date..." Read more from Pitchfork here. Techno star Moby joined rock act Azure Ray on stage last night in West Hollywood, Calif. Azure Ray, in the midst of a co-headlining tour with Crooked Fingers, first collaborated with Moby on "Great Escape," a song which appears on his 2002 V2 album "18." Read more here. When Moby had the duo Azure Ray come to his New York home studio to sing on his recent "18" album, all was fine except for one thing. "They are the nicest people in the world," he says of Orenda Fink and Maria Taylor. "The only difficulty in working with them is that they sing so quietly I had to use a very special microphone specifically designed for really quiet sounds." Read more here. "Maudlin at its best. Or maybe it's good at its most maudlin. 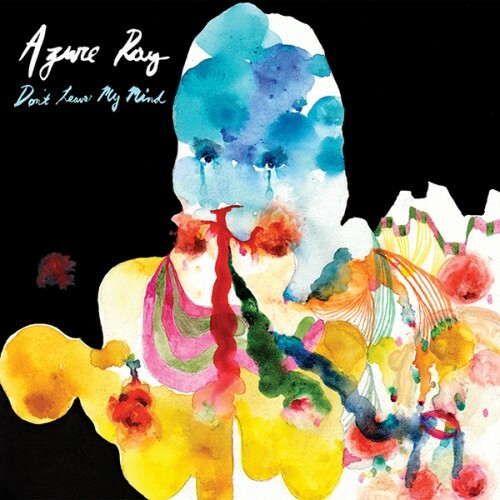 Either way, that's Azure Ray ..." Read more from Pitchfork here.